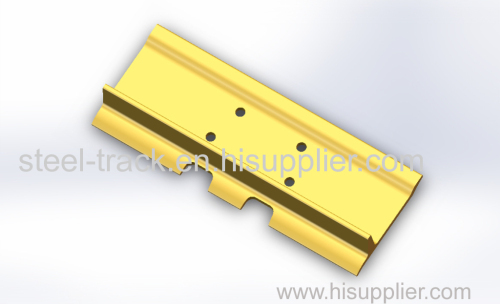 This product is used for Bulldozer track shoe D60A, D60E, D65A, D65E, D75A. The pitch is 203. The thickness is 12mm. The length is custom. The warranty of track shoe is about a half year. If the track shoe demages in a half year, you can tell us to get new one. If you want to buy track links, we can buy it for you from our cooperative factory. If you have any question. you can contact us.